This blog is supposed to be about photography, but from time to time, my other interests creep in. 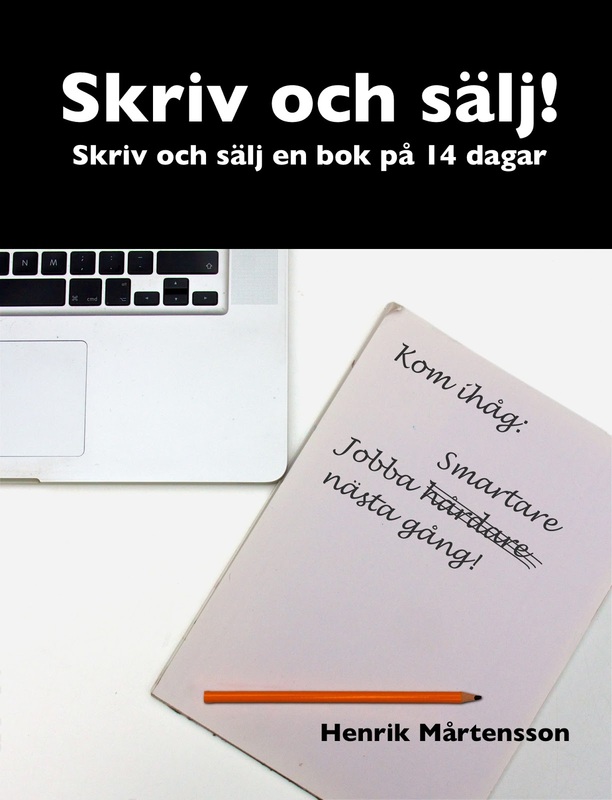 I recently released a brand new book, Skriv och sälj! 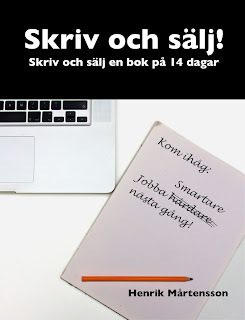 : Skriv och sälj en bok på 14 dagar (Write and Sell! : Write and sell a book in 14 days). The book is out on Adlibris , Bokus Dito , and Bokon. Writing a book usually takes 6-12 months. How do you write it, and start selling it, in just 14 days? Can it be done? Yes, it is unusual, but not unprecedented. For example, Michael Moorcock, one of my favourite authors, used to write his books in the Eternal Champion cycle in about a week. He wrote more than 50 of them. The reason why the blue project finishes faster, is that it uses something called load balancing. You can load balance almost any process, including writing and publishing books. As it turns out, with writing and publishing, load balancing works great! Writing, and publishing, a book in two weeks is entirely feasible, and you actually work less than a writer trying to do the same thing in 6-12 months. And, of course, if you write, say, one book per month, while your competitors have finished and published one book, you have finished and published, and gotten paid for, 6-12 books. That is pretty good. Also, with every book you write, your sales per book tend to increase, at least if you write well enough to make your readers want more of your books. For me, being able to reduce lead times in this way, means I can take on more work. It also means my management consulting customers know they get the real deal.